There is a well known account in the 5th Chapter of Mark about the day when Jesus freed a wild, demon possessed man from his misery. When Christ commanded the demons residing in him to leave him, they begged Him to let them enter into a nearby herd of swine and as soon as they did, the pigs all stampeded off a cliff and drowned in the sea. This is a story that depicts Jesus’ great power. Yet, there are some parts of the story that often leave the readers with questions. Here is the first: If this poor man was so demonically controlled, why could the demons not keep him from running to Jesus to eventually be set free? That answer is really quite simple. God’s Spirit is stronger than any demon. 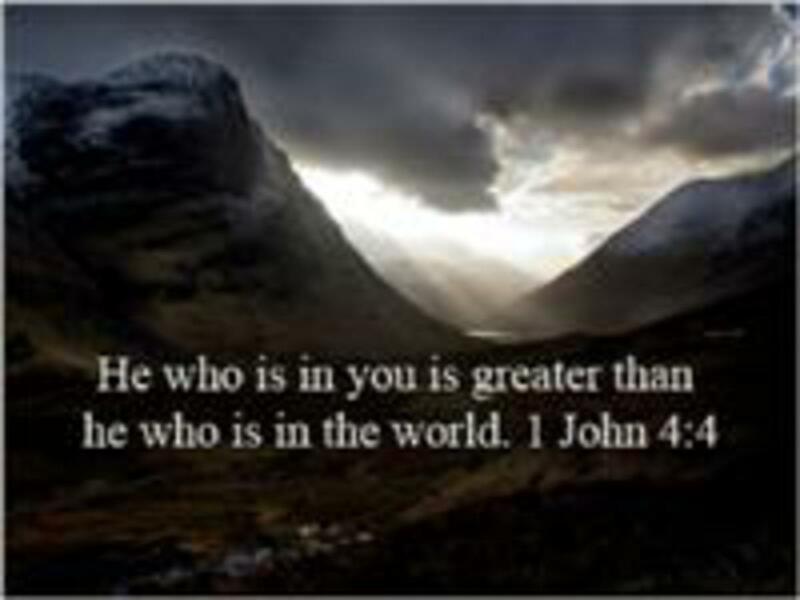 In fact, 1 John 4:4 tells us that the One (God’s Spirit) who lives in the believers is greater than any evil spirit that is in the world. This is the second question that is often asked regarding this story: Why did the people of that region ask Jesus to depart from their country after this miraculous event? Most Bible commentators agree that their decision stemmed from fear. They were either afraid that if Jesus lived among them they would have to change their way of living or else that His presence could hurt their pocketbook like it did the owners of the swine herd. Those who have come to Christ now know that when He changed our lives it was for a far better one and that He has always helped and never hurt us financially or in any other way. The third question is the one most asked in this biblical account. When the ex-demonized man was back in his right mind, he begged to go with Jesus when he saw Him prepare to leave the area in compliance with the wishes of the populace. Many bible readers can’t understand why the Lord denied his request with these words, “Go home to your family and tell them how much the Lord has done for you, and how he has had mercy on you”, (Mark 5:19) but not all Christians can be missionaries, evangelists or pastors. Nevertheless, the bottom line is that God places them where they belong. In this man’s case there were people in that area that needed someone like him to share his story with them. After all, if Jesus was not given the chance to give them the Word, He would leave somebody behind who would. The truth is that all who have been touched by the power of God should be telling others about it. Do you tell others what the Lord has done for you? If you haven’t yet, now would be a good time to start. Memory verse for the week: (1 John 5:13) These things have I written unto you that believe on the name of the Son of God; that you may know that you have eternal life, and that you may believe on the name of the Son of God.